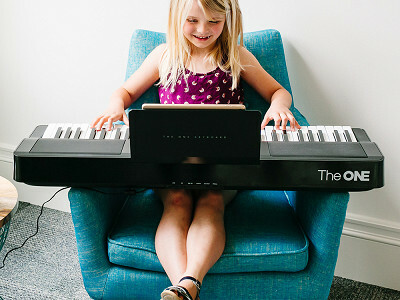 This isn’t just a smart piano, it’s also a patient, effective teacher. Sync it up to your smart devices. LED light-up keys integrate seamlessly with an on-screen keyboard to give you step-by-step and hand-by-hand instructions. There’s a library of videos and digital sheet music to choose from. You might kick off this new vocation by learning the crowd-pleasing, very-practical “Happy Birthday” and then transition into more complex favorites. Like any understanding teacher, The One Piano will match your pace. Unsure of what note is being played? Touch the screen to play the sound and watch the corresponding key light up. Feel like the class is moving too quickly? Pause, rewind, or slow down at any point in the lesson. You can learn to play on a keyboard or a more traditional-looking piano. And, when you’re not honing your piano skills, you can stream music on The One Piano and use it as a speaker. The connected experience is intuitive and easy to understand, whether you’re a kid or grownup. Practice makes perfect—and this piano makes the practice part super inviting. 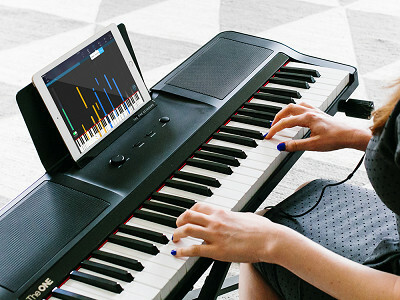 This x-shaped stand will keep your keyboard propped up and ready for you to learn to play. A bench to go seamlessly with your smart piano. Play away. Hello everyone! 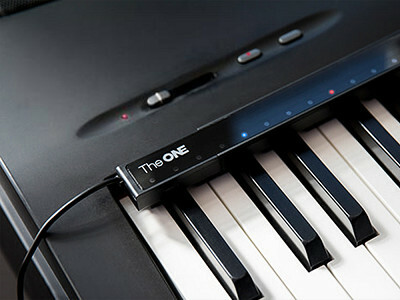 I'm proud to introduce The ONE Smart Piano and The ONE Lighted Keyboard to The Grommet today. I'd be happy to answer any questions you have! @Julie Hi Julie, thanks for the question! The shipping dimension for the light keyboard is 41x17x7 in. And the light keyboard keys are not weighted. Looks like a great instrument. Can we also play sheet music other than those supplied or offered for purchase? 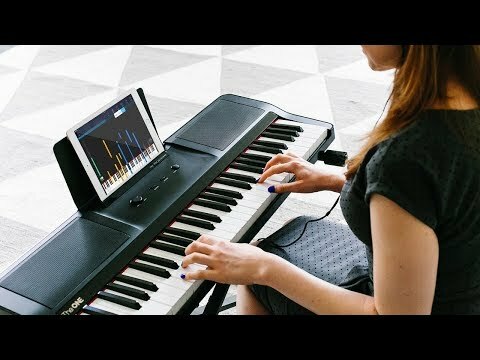 How is the the piano connected to a smart device? Will an iPad work? Dimensions please for the Smart Piano. 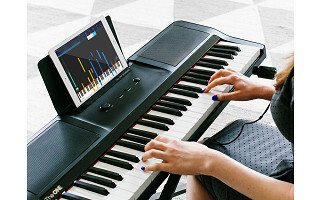 Yes it works with the iPad and connects the piano through cable. The shipping dimension for the smart piano is 61x24x18 in. Currently you can only select the sheet music from the supplied collection. It has thousands of sheet music and we do update on the monthly basis. 1) Will this keyboard work with an iPad3? 2) Does it have a transpose feature to accommodate a change in octaves? 3) Is there a customer service phone number for any problems encountered? @Helen Hello Helen, thanks for the questions! 1. Yes, the keyboard will definitely work with an iPad3. 2. Yes, we do have the transpose function. What you need to do is just simply go to the sound settings in Smart Piano APP to adjust. 3. You can contact our support team via email ([email protected]) or contact directly through the phone call at 855-201-3664. What is the cost of additional songs from the software library? Hi Maranda, songs range from $.99 to $3.99.